Now that the kids are back in school, crowds at the Disney parks are a lot less. Cooler temperatures mean that it's also a great time to be outside all day. 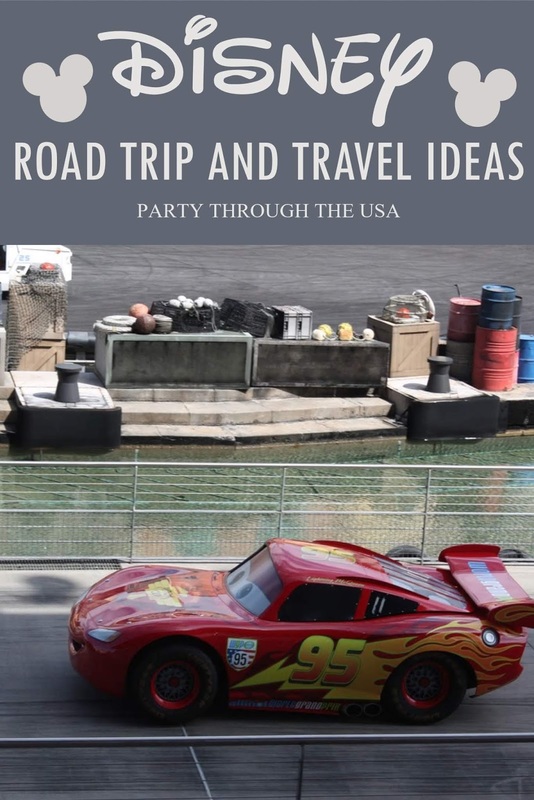 For today's Travel Time Tuesday, I've collected up all my Disney blog post so they're easy for my readers to find and use. 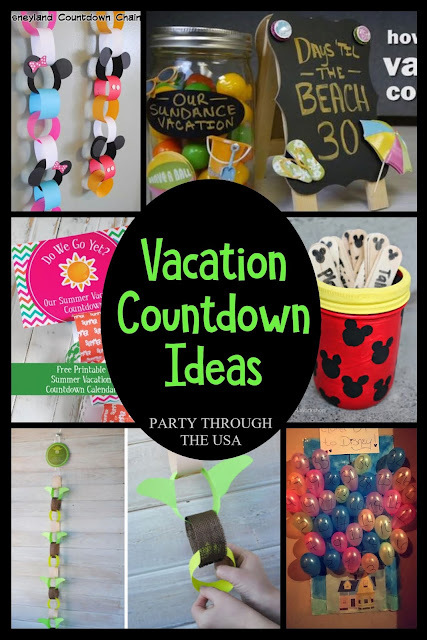 After booking your vacation, it's time to start the countdown! There are so many fun and adorable online. I collected my favorites in the post you can access by clicking on the picture. Which one is will you chose? 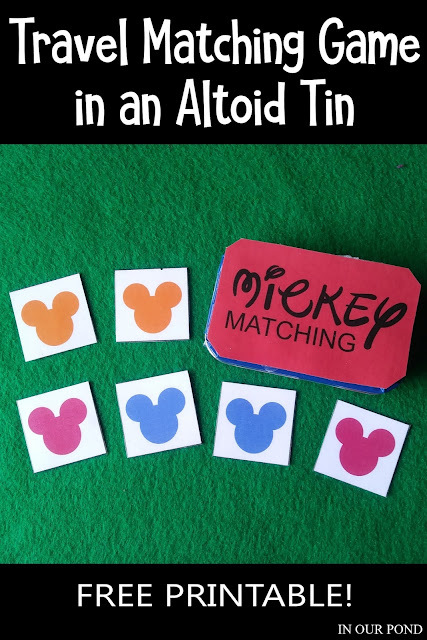 This colorful "Hidden Mickey" matching game fits into an Altoid tin for easy transportation. 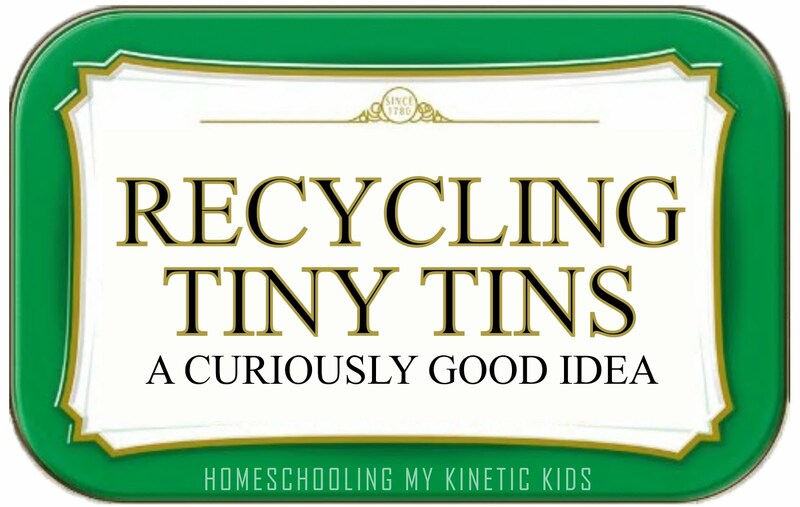 Great for teaching colors to a preschooler, too. Print your own copy by clicking on the picture. 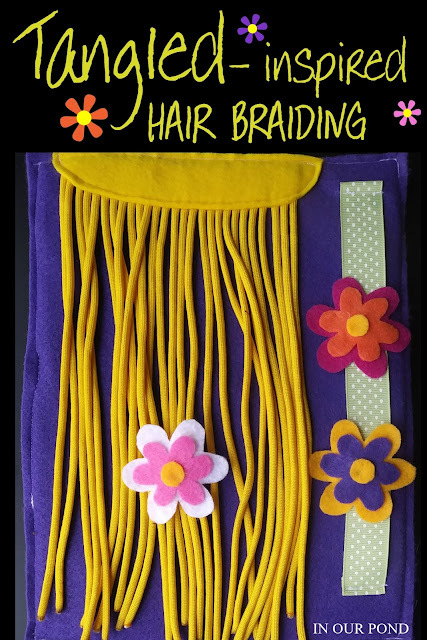 I made this fine motor activity page for my daughter to practice braiding and tying bows. It could easily be added to a quiet book for a full-load of travel fun. Click on the picture to see the bow tying and learn how to make the pages. 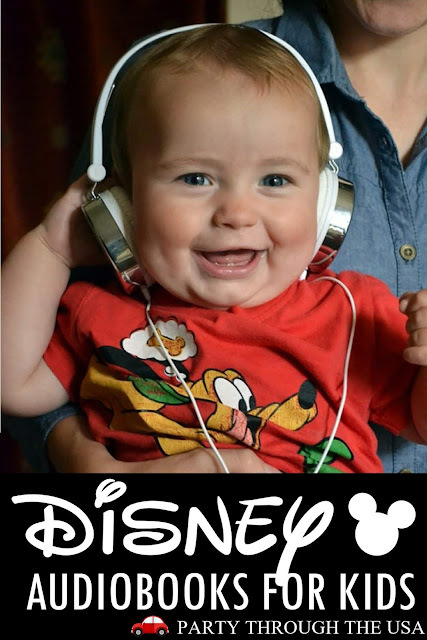 My kids love listening to Disney audiobooks while on vacation and anytime. 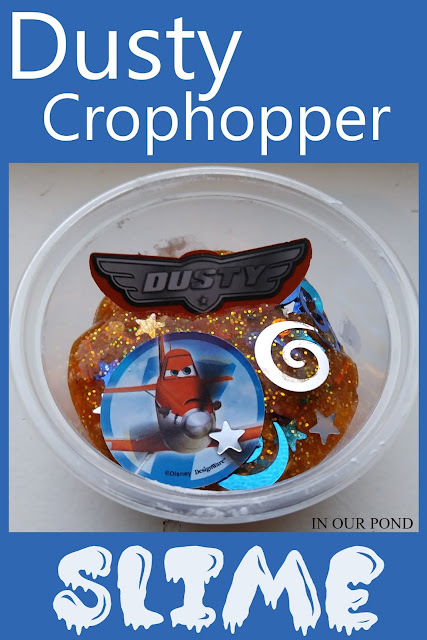 The familiar characters and predictable story lines are perfect for kids with short attention spans. Each stories two to three hour length makes them a great alternative to movies on road trips, too. See our favorites by clicking on the picture above. As readers of my blog know, I love themed road trips! 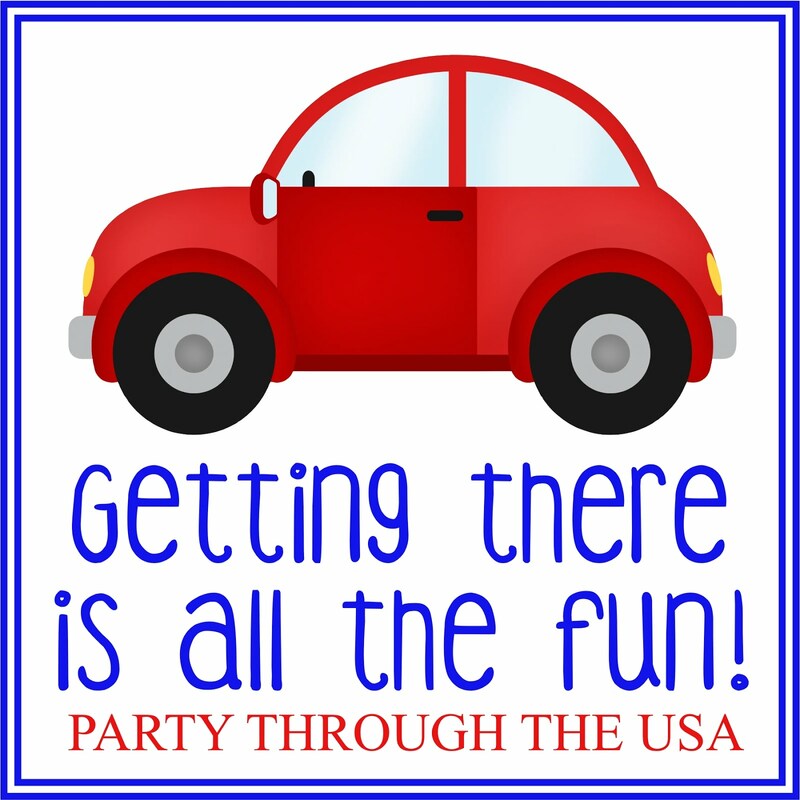 Before turning our vacations into "parties on wheels," we had very few references when sharing memories for each other. Conversations sounded like "Remember that one time that we went to Grandma's house?" "Which time?" Now, we say, "When we were on our pirate road trip...." So much better! 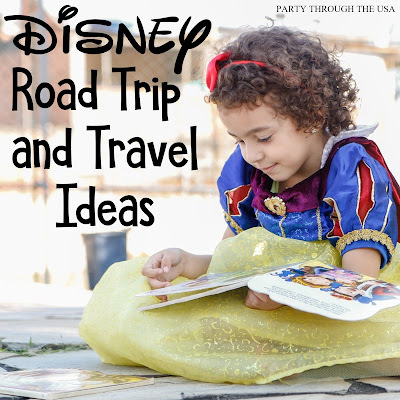 Plus, the kids love to help me plan the trips and picking our themes. 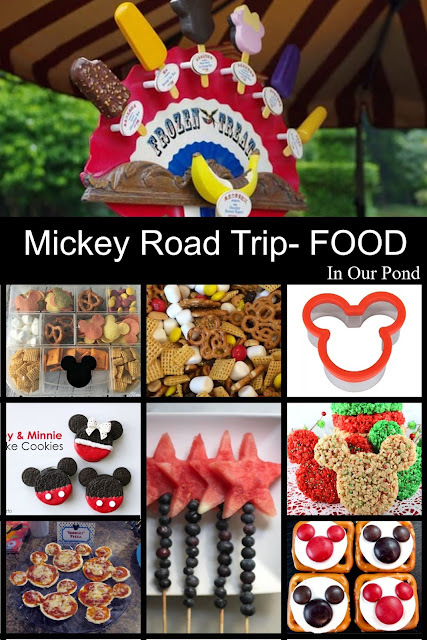 If you love red, yellow, and black and the iconic ear shape, then you'll want to have a Mickey themed road trip! Classic and fun. 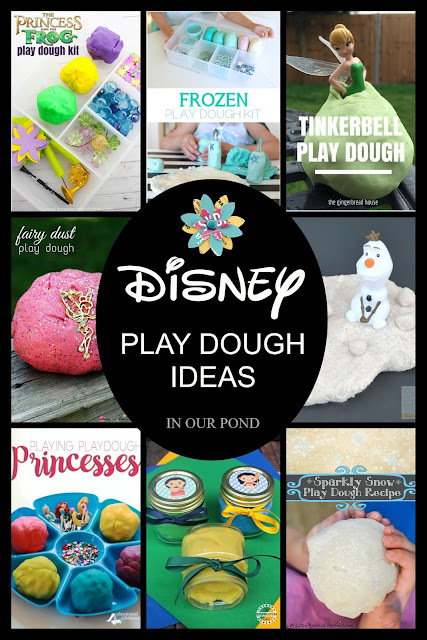 I don't think Frozen Fever will end any time soon. 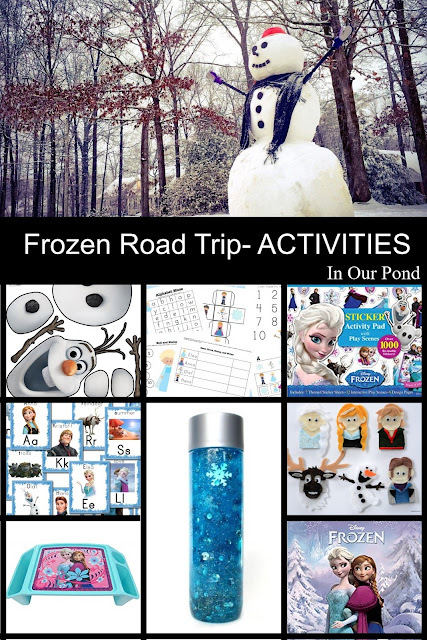 A Frozen themed road trip is perfect for a winter vacation with lots of snow or a summer trip when you want to cool off. 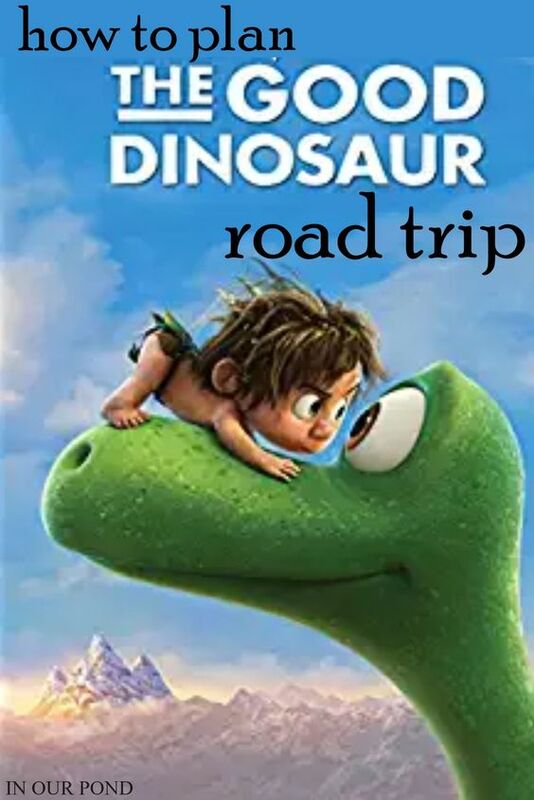 My kids really enjoy The Good Dinosaur. If you're kids are nuts about dinosaurs like mine are, then you'll want to indulge them with this theme.